Shares in Canada’s Eldorado Gold (TSX:ELD) (NYSE:EGO) were down on Friday morning after the company announced that output for 2016 reached 485,994 ounces, slightly lower than the revised third quarter guidance of 495,000 ounces. The miner, which experienced major changes last year, including the sale of all its Chinese assets and a change of leadership with the appointment of one of Goldcorp's top executives as CEO, achieved however substantial cost reductions. 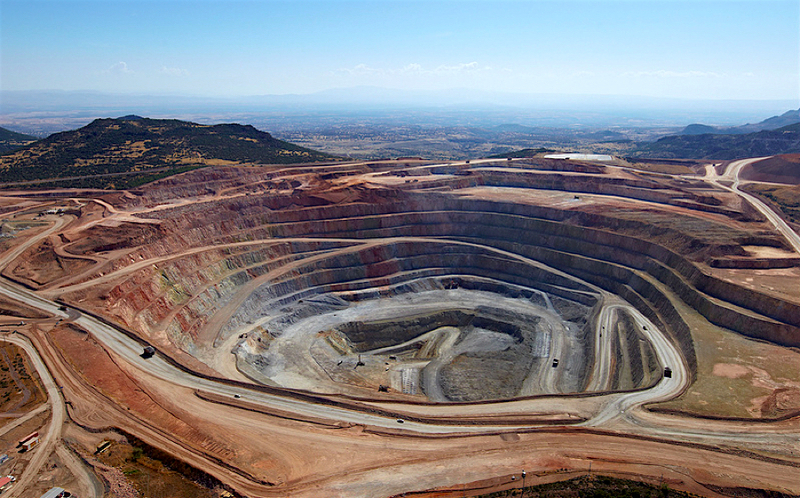 Eldorado is indefinitely shelving expansion plans for its Turkey-based Kışladağ mine, its flagship operation. The Vancouver-based firm said 2016 cash operating costs averaged $578 per ounce, significantly lower than original 2016 guidance of $585-620 per ounce. All in sustaining costs expected to be approximately $915 per ounce; also considerably lower than original 2016 guidance of all in sustaining costs of $940-980 per ounce, it noted. Retiring President and CEO Paul Wright said that in response to the company’s current gold price outlook and its priority development projects in Greece, it will indefinitely shelve expansion plans for its Turkey-based Kışladağ mine, its flagship operation. Eldorado is now eliminating the remaining capital expenditure associated with the expansion of the mine, Turkey’s largest gold operation, and reducing sustaining capital requirements over the next five years. “The revised operating plan greatly enhances free cash flow from the operation in the near and medium-term while maintaining long-term operating integrity," Wright said. Eldorado has also deferred a decision on developing a project in Brazil, citing lower gold prices. The executive, who joined Eldorado in 1996 and has held several management positions prior to becoming its president and CEO in 1999, will step down in April, but he’s set to continue as a member of the board. He’ll be replaced by former executive vice president and chief operating officer of fellow Canadian mining company Goldcorp, George Burns. The stock was down 2.9% to Cdn$4.63 in Toronto and 3.9% to $3.45 in New York at 11:08AM EST. The price drop comes amid a broad downtrend at Canada's main stock index. The Toronto Stock Exchange was down in early trading Friday, with gold miners and other materials stocks leading the retreat from the three-day rally that started the year. All of the index's 10 main groups were in negative territory, with four declining issues for every gainer. But the materials group, which includes precious and base metals miners and fertilizer companies, was one of the biggest losers, falling 1.3% just in the first hour of trading.